Young readers will find that learning is always an adventure with Curious George! Now you can get twelve exciting books based on the Emmy Award–winning PBS TV series—all packed into in one big bargain of a book . Favorite titles include The Kite, Pinata Party, Home Run, and more! Each story is paired with corresponding activities that will reinforce concepts and appeal to every child’s sense of curiosity. This sturdy collection is the perfect way to introduce kids to the wonderful joys of reading and to encourage continued progress. Want even more monkey fun? 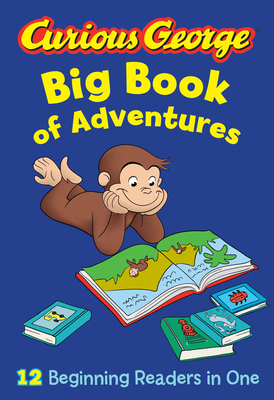 Go to www.curiousgeorge.com for books, promotions, games, activities, and more!